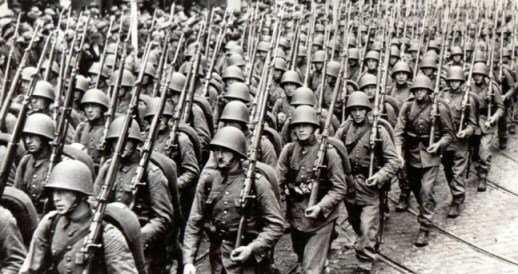 Along with being the nation that contributed the 4th largest Allied contingent in WW2, Poland was also the longest-fighting of all the Allies in the European theater. 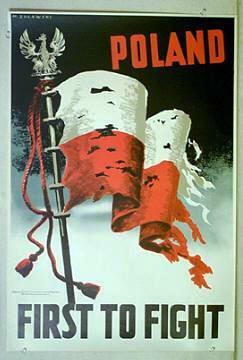 From September 1939, to the Spring of 1945, Polish forces were engaged in fighting nazi tyranny. The Polish American Living History Association is a non profit, educational organization dedicated to the preservation and public education of Poland's fight during WWII. With members based in Maryland, New York, New Jersey, Pennsylvania, Ohio, Virginia and Illinois, we participate in camp displays, tactical events, parades, and other events designed to both explore this fascinating history as well as to educate the public on this remarkable chapter of WW2 that has largely been untold. As a reenactment unit, we are unique in the fact that we offer several different Polish "impressions" to choose from. Rather than focus on a singular aspect of the Polish contribution to victory in WW2, our members strive to illustrate the great breadth and scope of the Polish contribution. You may see our members portraying infantry or cavalrymen of the 1939 campaign, or Polish Air Force pilots of the famed Battle of Britain. You may see them portraying Polish Paratroopers of the tragically ill-fated yet heroic Operation Market Garden, or as sun-burned "desert rats" fighting alongside Montgomery's troops in North Africa. Look closely and you may even see a member of the famed "Armia Krajowa" or Polish Home Army; troops, including women and children, who took up arms and held their own against some of the most ruthless SS troops that Hitler had to offer. Look again and you may see a uniform that is perhaps the most tragic and misunderstood of them all - the Soviet supplied and administered Polish People's Army, made up of many Poles who chose to fight for one enemy against another often just to simply allow they and their families to survive rather than to languish in a Soviet gulag or internment camp. It is open to those who may have an interest in reenacting, or those who simply enjoy discussing any and all aspects of Polish history.